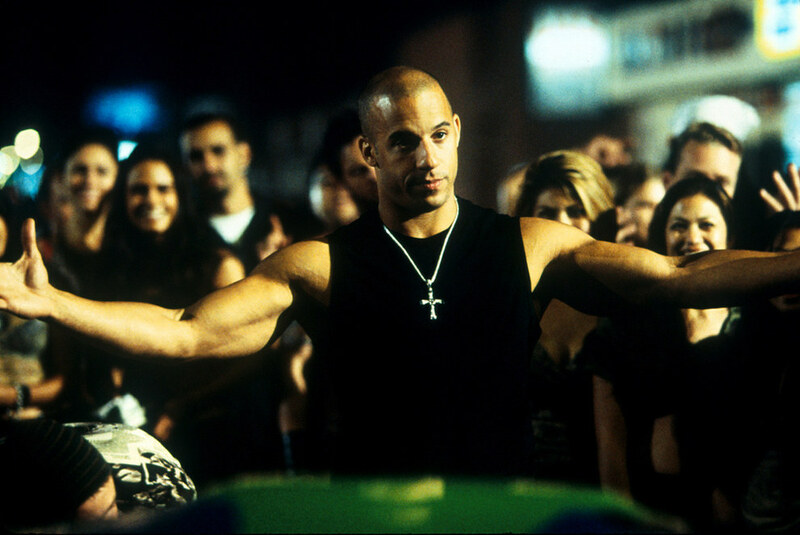 As a precursor to the April 14 release of The Fate of the Furious, the eighth film in the Fast & Furious franchise, CineFiles is taking a look back at the 16 years of Fast films, starting here with 2001’s The Fast and the Furious. What can be said about a film centering around underground drag racing, in which characters risk their lives for the respect of the win? Hopefully a lot given that film spawned a billion dollar franchise. The Fast and the Furious, as a franchise, has developed into an enigmatic phenomenon of action schlock. But in 2001, The Fast and the Furious the film was merely a racing film with no stakes, no future of sequels and internationally-staged set pieces. Ignoring the dated soundtrack and costume styles, amateurish acting, and weird energy drink ad placement that only exists in retrospect, The Fast and the Furious remains a movie. This much we know. The 2001 inaugural Fast & Furious installment is the flawed film that would be expected of its sequels. Scenes bounce from location to location, event to event in an attempt at snappy pacing, but instead this clutters the film with a narrative packed with convenient transitions. Poorly done ADR hovers in every scene, the camera conveniently rarely showing characters’ faces. Witty and flirtatious dialogue comes off as unnatural. To its credit, The Fast and the Furious does have something its sequels struggle to achieve, and that is story. Brian O’Conner (Paul Walker), an LAPD officer looking to move up to detective, goes undercover in Dominic Toretto’s (Vin Diesel) street racing empire. While inside, he falls for Toretto’s sister (Jordana Brewster) and finds himself coming to respect Toretto’s street ethics. It’s a standard crime premise done fairly well. At the very least, it is fun to see Ted Levine and Thom Barry behind the boys-in-blue scenes watching things turn sour for them. Diesel is, quite surprisingly, the best actor in the film. His reaction shots are great, and he shows more personality here than he has in his last five films. The main triangle of character relationships—in Toretto, Brian, and Mia—is the interesting one in the film. The swath of supporting roles is largely unnecessary, taking away from what works in the narrative. The plot is at once simple and hampered by its desire to have a complex network of characters. This is not to say the film is hard to follow. It is merely uninspired in many respects. The bread and butter scenes are the set pieces, the drag races themselves. And once the first one occurs, there isn’t much left of interest to see a second or third time around. Even judging the Fast & Furious franchise on its guilty pleasure value, The Fast and the Furious is lacking in many areas. It is not nearly as compelling as the franchise strives to be in later years. But even viewing it with blinders, ignoring its successors, the film does not succeed beyond its initial race sequence. The rating for this film is based more on a “guilty pleasure quotient” than it is on a standard rating scale. This said, the film is still rather bland for a guilty pleasure piece. It is stronger than some of the early sequels in the franchise, and it has more of a traditional action drama bent to it that is intriguing (who would have thought convention would be intriguing, but with Fast & Furious traditional criticism is thrown out the window). The Fast & Furious franchise has always been about family. Even here, we have the seeds of that theme planted. And, for an introduction into this abnormal family, it does a half-decent job.